Offshoring is a “feature” that was added along with citadels several months ago which allows players to avoid the normal taxes for buy orders by performing them from player owned citadels. Thanks to the fact that Citadel owners can set the tax rate of the markets within that citadel, and the fact that they can make operational ISK from other features such as clone jumping, Citadels have become a staple at all of the major trade hubs in New Eden for tax evasion purposes. The exact process of this was covered on TMC by Rhivre, but it’s natural consequences have not been adequately explored. EVE is about choices, hard work, and consequences. 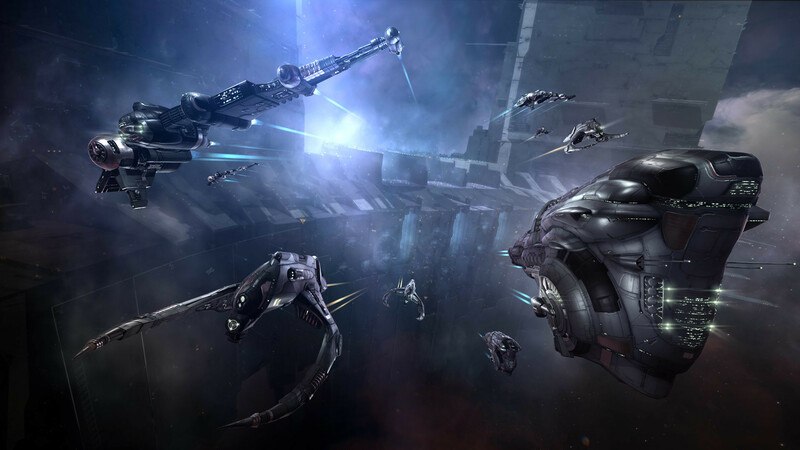 EVE Online was, from it’s creation, sought to be “more meaningful than real life”, and in some ways it accomplishes it’s goals. The player interactions form “social contracts” that can really only occur on this level in a well-built sandbox with consequences. However, there is another side of the game, hanging on like a vestigial twin; the current EVE PvE experience, and in particular mission running, seems to have been cut from a totally different set of goals. In practice, the content the universe itself offers up is devoid of consequences. Sure, many of the challenges we have presented have “winners” for the big competition, but for the majority the consequence is simply a decision to not be the winner. For PvE to matter, it needs to leave a mark on the universe itself. This is what most players seek to do, and EVE in general exceeds other games greatly in that field. Massive structures, sov maps, killboards, famous streams, EVE is full of opportunities to showcase your power over the universe itself. However, where EVE has always struggled is the showcasing of the marks we leave on our characters. Tributes to our accomplishments and a history of our coming and going are very limited within the game. We wander through our immortality without much to publicly show for it. Partially this is fueled by our own paranoia: we cannot possibly give up inside information about what we do, for someone may come and disrupt it! We use alts, and hide behind masks in order to cover up our in-game secrets, often even from close friends. In this prioritization of secrecy, even the primary function of showing accomplishment – our medals – goes woefully underused. However, that does not mean that a desire to establish our own personal legacy isn’t there. Unfortunately, many EVE players have refused the features used by other games to establish these mechanics, options like achievements, trophies, and such are shouted down by a vocal minority, due to their comparison with other MMO’s like WoW. However, throughout it all EVE does have a system that could easily be leveraged to track legacy at least on some level. There is a mechanic that exists that would allow us to track our actions within the universe, and likewise offer up consequences for those choices. Sadly, in recent years, like many other salvageable pieces of the EVE PvE experience, it has been somewhat cast aside, even argued by developers that the system should be removed altogether. In the Citadels expansion offshoring meant yet another blow to the PvE mechanics, removing one of the remaining useful aspects: the standings system. The taxes that offshoring removes can be reduced by two other means. The first being that there are skills that can be used to reduce those taxes, but you can also increase your standings with the station-owning corporations to save ISK. While it is still true that offshoring is mostly used for major trading only (i.e. PLEX more than everyday items), and while offshoring does not remove the taxes on sell orders, this is a kind of nerf to the standings system. Combined with the removal of standings requirements for jump clones, there isn’t much value left tied to high standings. 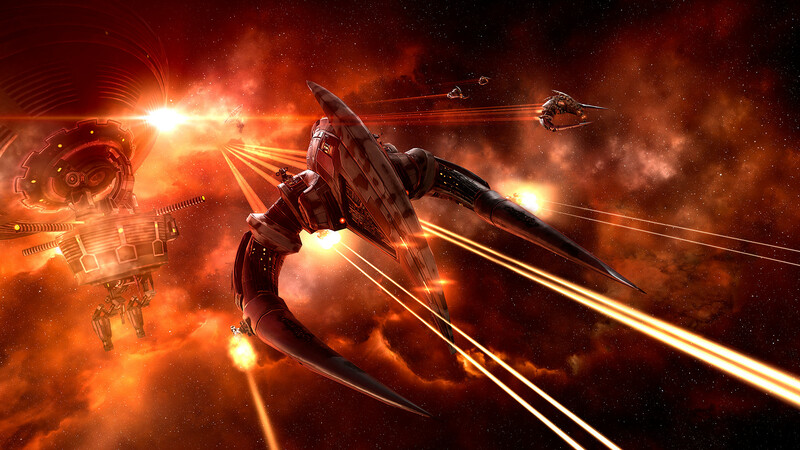 What would EVE Online look like if there were real consequences within the universe? What if you left not only a trail of angry, or friendly, players, but also NPC entities, in your wake? How can we use the standing system to better bring alive our universe? Agents of higher levels are unlocked: these requirements are listed on individual agents. Refinery stations tax you less: Refinery taxes gradually reduce and removes them completely at 6.67 modified standing to the corporation who owns the station. Reduced Broker Fee for selling items on the market: This affects orders placed in stations owned by the corporation. Faction standings affect this too, dependent on which faction the corporation belongs to, not the faction who owns the space. At high levels of faction standing, 9.9, 9.2 and 8.5 modified standing an agent in that faction’s COSMOS area will offer you a two run Battleship, Cruiser and Frigate BPC respectively. At negative 5.00 modified standings a faction’s customs officers will shoot you on sight in their space. Having negative 5.00 or lower to a corporation has no further effect than the above mentioned agent lockout at negative 2.00. The lower you let your standings get, the longer it will take to increase them again. That’s the only real added effect besides those listed above. You receive promotions, and each rank is tied to your positive, unmodified standing with the faction’s militia corporation. Standings are generally earned by completing missions, in particular special kinds of missions (COSMOS, Career Agent’s, Epic Arcs) and are generally lost by killing NPCs of that faction, either during missions or just by ratting in nullsec. Because of this, players generally increase standings with empire factions, and lose standings with pirate factions. However, there are missions in NPC nullsec that allow players to work for pirate factions to gain pirate standings and LP to purchase that faction’s BPCs. With the proper goals or effects tied to standings, the earning of reputation can be made important. Again, this is a thing which the EVE playerbase has traditionally had a hard time digesting, as it is often looked at as a “reputation grind” which makes it more like “other MMOs”. However, this is a major opportunity to learn from a decade of hits and misses throughout the gaming sphere and implement some good changes to make this work in a very EVE-specific way. 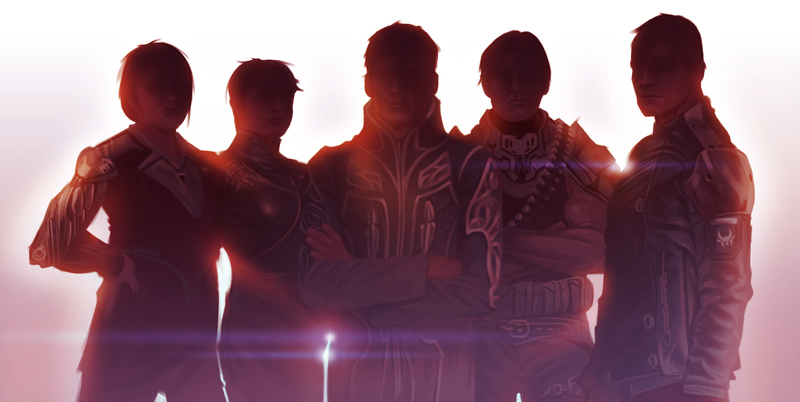 Each faction has their own views of the world, and each corporation has their own agendas. Right now that agenda is mostly manifested via mission running, but as I recommended in my SOE proposal, what if that wasn’t the only way? We are getting increasingly complex events such as the Shadows of the Serpent, which could be an amazing opportunity to gain and lose standings based on which side you support. Many of the perceptions about the penalties of losing standings are based in the fact that standings are also so hard to gain. Standings should be in general fluid, with perhaps the highest and lowest rating reserved for the best or worst actions. Instead of standings being something that is grinded, it should be closer to morality system of other RPGs, where standings are used to allow factions to remember your behavior to and for them in aggregate. What if in the next event, there was a MacGuffin to collect, but there are two sides equally interested in getting their hands on it. Upwell could offer discounts on new services they are willing to offer, but this time the Serpentis appeal to the Capsuleers spirit of independence, and offer up their own reward. Whichever you choose, their standings goes up, and the other’s goes down. Additionally your standings could influence how hard the objectives are, or what kinds of rewards you receive, making each faction’s agenda a kind of rabbit hole for the player. Now, not only can your efforts have an impact on the world in the form of seeding blueprints and skins into the market, but it also has an impact on you. Regardless of your choice, that decision, or absence of one, will be indicated on your record with your lasting standings. All of this is well and good, but the acquisition and loss of standings isn’t really the missing piece, it is the meaning of that choice. Creative minds can come up with a seemingly endless pool of answers on how to make this work. However, for the purposes of this exercise I will list a few potential ones. The specifics (such as exact standings requirements) are merely suggestions and would have to be part of the balancing process. SKINs: One of the biggest problems with SKINs is that displaying them doesn’t ever mean anything other than that you spent AUR or ISK on them. Standings could offer more meaning. There could be levels which are necessary to access the SKIN licenses. For example maybe to display Intaki SKINs you first have to gain a minimum standing of -2.0 with the Federation and Intaki, but to use the Blood Raider skins you have to have at least 2.0 with that faction. Additionally, one could tie the ability to purchase SKINs to standings. This could potentially cause players to work towards gaining favor with a corporation or faction, simply so they can become a “brand manager”, selling the SKINs to those who didn’t or couldn’t do the same. Access to Content: As we get more tools for dynamic content, such as the SCOPE news system, we can also use standings to curtail and control what kind of content we get. I spoke about this more in my design challenge on the Dailies System. Access to perks. Perhaps some pirates have advantages that they can bestow upon only the most trusted capsuleers. Maybe they could allow limited access to the pirates gate network, allowing loyalists to move freely within their regions. I’d like to close with a story. Not a story of EVE as it is, but an EVE as it easily could be. A lone ratter sits in a Paladin in an anomaly in Delve. He is not new to the region, and has been a scourge to the Blood Raiders occupying the area for months. Because of this, the Blood Raiders have a standing of -10 to him, a most hated enemy. The AI controlling the Blood Raiders site knows this, and so works its hardest to overwhelm the pilot. This show of force of course offers additional rewards for the pilot who withstands this firepower.